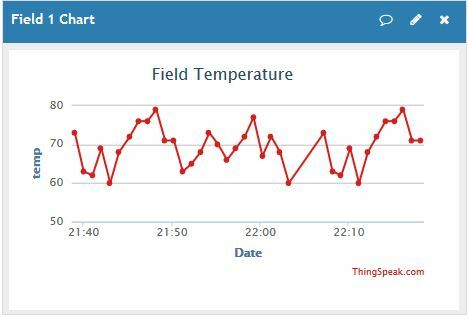 Soil temperature and moisture probe experiment - I'm logging data to Thingspeak.com graph using a Particle Electron that communicates to the Internet via cell signal. See IOT link above (Internet of Things). It is powered with a Li-ion battery and solar charger. 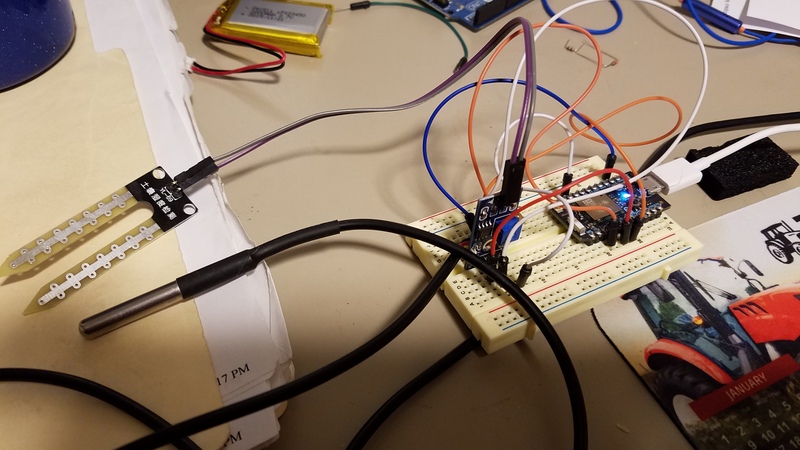 I need to lengthen the sensor wires and set the electronics on a stand a few feet off the ground to connect to a cell tower. 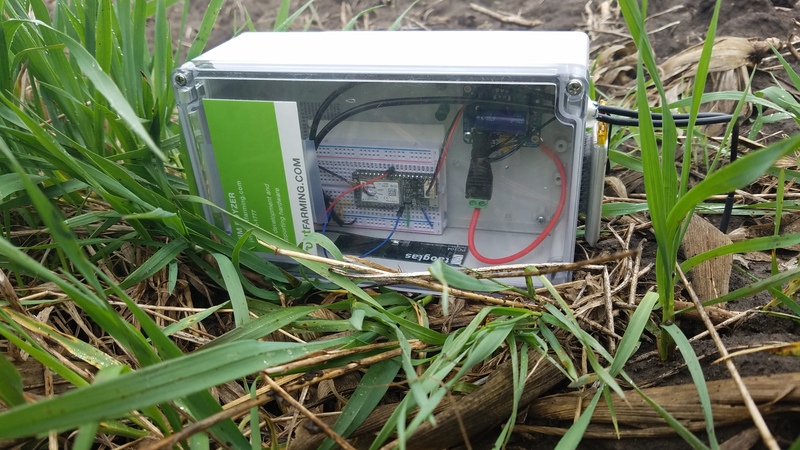 Winter Project: Add a water volume sensor instead of the moisture sensor to better compare to Iowa Soybean Association monitoring. 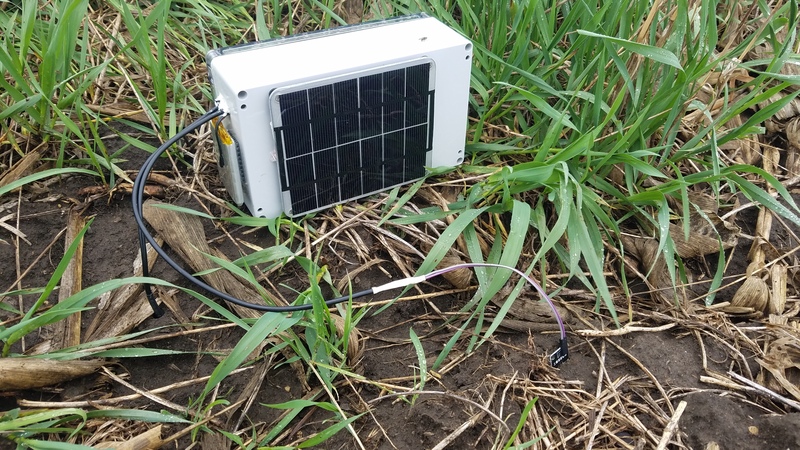 I will use this to gauge when to start planting (soil temps above 50F). Track GDD's in a better manner.